This tree could be just the right size for smaller homes. Roll it up for easy storage. 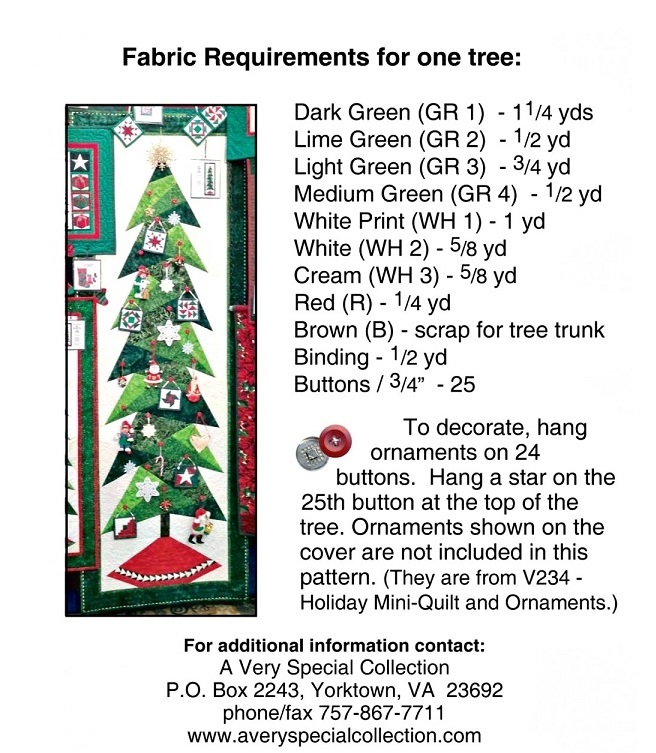 To decorate, hang ornaments on 25 buttons that embellish the quilt. 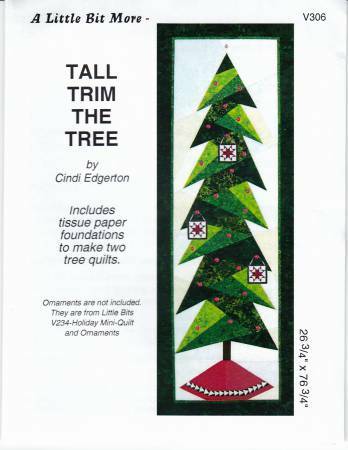 Finished size is 26.75" x 76.75" includes tissue paper foundations to make two trees. Great to use for a Christmas Holiday project.